When it comes to Baroque wall-coverings, it’s all about dazzling patterns and powerful motives. “No half measures” - that is the motto for our exclusive designer wallpapers which provide seductive glamour to any room. The stylistic epoch of “Baroque” (1575-1770) beautifully reflected power, wealth, and splendour in its art and architecture. 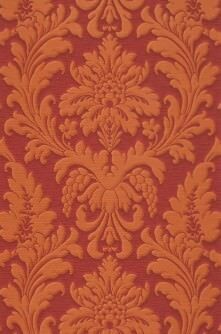 This is emulated in our Baroque wallpapers which provide the perfect backdrop for splendid sophistication and opulence in interior design. 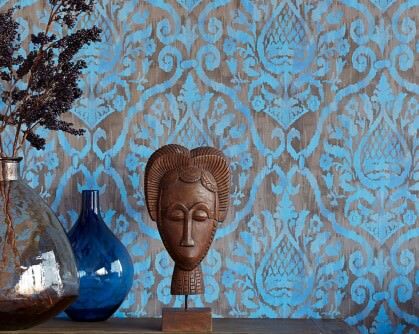 Baroque wall coverings are amongst the classics in the world of wallpapers. These timeless designs are perfect means of expression for a specific joie de vivre. They work just as well in hypermodern surroundings as in interiors based on historically authentic elements. In combination with plain-coloured wallpapers, Baroque statement walls lend interest to a room and immediately grab the attention. The retro style provides an element of surprise, creating a perfect composite of antique art and trendy lifestyle. Our Baroque wallpaper collections comprise a vast variety of patterns. The immense attention to detail lets you discover gorgeous tendrils, blossoms, crowns and an unending number of other elements of the Baroque style in their intricate and opulent motives. These wall adornments invite you to daydream, to build castles in the sky, and to lose yourself in intense colours and patterns. Our Baroque wall coverings boast powerful patterns, silky surfaces, complementary as well as contrasting colour combinations, and 3D-effects. 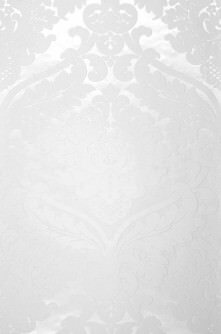 Damask Wallpapers (often also called Baroque wallpaper) creates a world full of bewitching fantasy, stylish luxury, exhilarating mystique or irresistible vibrancy. Thanks to the gigantic choice of baroque patterned wallpapers we provide for you in our wallpaper shop, huge amounts of stunning effects can be created. Enjoy magnificent moments in gold, silver, cardinal red, or indulge in the slightly more Gothic “Glamrock Baroque”. For instance, how about Damask or Flock Wallpapers in black basic tones or in daringly bright colour combinations like orange, pink, turquoise and purple with a metal sheen effect? Damask Wallpapers come in a variety of classic or contemporary designs, that is to say, re-interpreted pattern elements based on the European style era of Baroque, which dominated the years between 1575 and 1770 and whose sub-categories are Early Baroque, High Baroque and Late Baroque (also known as Rococo), all of which are characterised by subtle artistic and architectural differences. The era of Baroque is considered one of the most dazzling style epochs. It stands for magnificent, opulent castles with huge halls decked out in marble, gold, and crystal, and draped in silk and velvet. 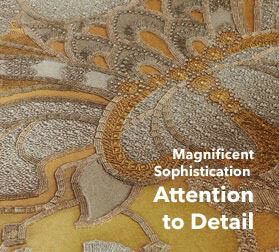 Lavish ornaments and embellishments which are combined to form fantastic patterns reflect power, beauty, wealth, joie de vivre and indulgence. The ornamental patterns of the Baroque era are inspired by myths, tales, legends, exotic cultures, nature and the supernatural. Above all else, this makes DamaskWallpapers so stimulating for the imagination. 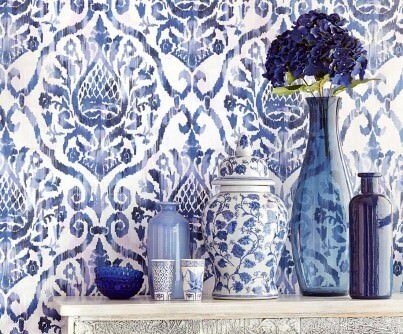 Damask patterns have survived the centuries and are seen as both timeless and trendy. They are perfectly suited to be re-defined and adapted to contemporary styles whilst simultaneously retaining their classic and grand core. In terms of interior design, especially with regards to wallpapers and fabrics, baroque patterns are ever-present and loved by many totally different target groups. 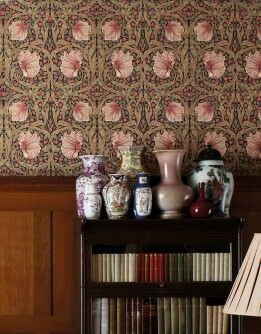 Patterns in a damask style are characterised by their artistic, often very detailed and intricate ornamental motifs, their seemingly endless tendrils, blossoms and floral elements entangling to create completely new shapes and forms. Combined with gorgeous colours, gloss effects, relief structures and luxurious materials, they provide a huge array of stylistic effects, which is why Damask Wallpapers are so multi-faceted and versatile. Designer Wallpapers with Baroque Patterns are particularly suited for deluxe, elegant, artistic and opulent room designs based on authentic style templates, but at the same time for modern environments complemented by contrasts. There is an almost limitless array of pattern and colour combinations, materials, optic and haptic effects, which is why Design Wallpapers “Baroque” are perfect for any room and will always provide an exclusive touch. 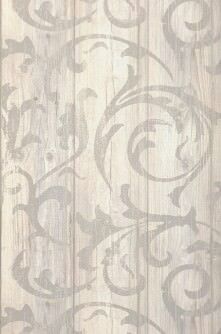 Damask Wallpaper can be used in bedrooms, bathrooms, dining rooms, living rooms and staircases/hallways. Whether it is just one wall that is adorned with a Baroque wall décor or an entire room is given a new lease of life with a Damask pattern is down to individual preferences. The decision is determined by parameters like brightness, size, layout, desired effects and personal taste. 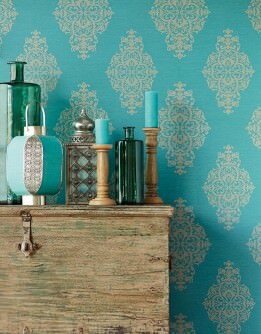 Damask Wallpapers are very versatile and can complement many different interior design styles. The luxurious country mansion style is as much within the realm of possibilities as a sober futuristic look, incorporating a touch of decadence. Even the rough-around-the-edges Industrial Chic is turned into a Glamrock revival with the right damask wallpaper. Let's not forget the recent tendency towards emulating romantic castles, or the mid-century look, both hugely benefitting from Baroque Wall décor. When it comes to mixing styles, it pays to adhere to fundamental style templates. For the mid century look, this would mean, for instance: High-quality vintage furniture based on the 50s and 60s with clear lines, combined with the odd stunning design object and a brightly coloured Damask Wallpaper. Be inspired by our Baroque wallpaper world and discover our Customer Photograph gallery with baroque pattern ideas you will love. 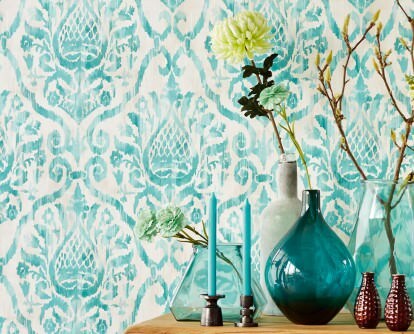 Tip: Damask Patterns speak for themselves and do not invite competition. Consequently, you should use other patterns very sparingly, if at all, and make sure pattern elements in fabrics, curtains, furniture, accessories, etc. tie in with those of your wallpaper. Subtle floral and fauna motifs are particularly well suited. Another good choice are single-colour treatments in various lighter and darker shades. Metal hues like gold, silver, copper or aluminium also set the scene beautifully. Stay away from brightly coloured block striped, plaids, geometric modern styles, or surreal retro motifs, as they often clash with the opulence of Baroque. Material contrasts provide lively structures, but they should never compete with damask wallpapers. In the service industry or the hotel and restaurant trade, too, wallpapers with baroque motifs signal exceptional luxury, inspired by art history and with a soupçon of extravagance. Many business clients have realised unique concepts with Damask Wall Treatments from our wallpaper shop and are reaping the benefits of their effectiveness. Well-known designers, wallpaper artists and manufacturers from around the globe provide the damask wallpapers in our wallpaper shop. You’ll be sure to find your favourite wallpaper in a baroque design in our shop. Materials and colours are amongst the factors that will determine your choice and create a beautiful atmosphere in your home or business. The carrier materials of the Baroque wallpapers in our Wallpaper Shop are non-woven (fleece wallpaper) or paper-based (paper wallpaper). Both carrier materials can be treated/coated with a variety of surface materials. Cellulose and textile fibres are the carrier layer of non-woven wallpapers. This carrier or base material is tear-resistant and durable, evens out smaller irregularities on the surface of the wall and is vapour-permeable, which is why non-woven varieties are also suitable for bathrooms and kitchens. In contrast to paper-based varieties, there is no need to apply paste and let it soak in, as the adhesive is applied directly to the wall. 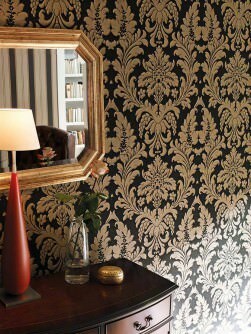 Non-woven wallpapers with Baroque patterns can be pulled off the wall without having to soak them. For paper-based wallpapers, recycled paper is the main “ingredient” of the carrier material, which is then combined with printed or embossed surface materials, e.g. vinyl, effect foils, etc. These wallpapers are easy to put up and can - depending on the combination of materials - be removed from the wall in a dry state, i.e. the paper (under) layer remains on the wall. Paper-based types will have to be soaked before stripping. What sets Damask Wallpapers apart in both optic and haptic terms is the surface. There is a large number of options and materials both for non-woven as well as paper-based varieties: Smooth, with fine embossing, delicate structure, “touchable” (raised) relief, vinyl, heddling, effect foil, flock. Due to the fact that baroque wall-coverings with a vinyl surface are wipeable, they are particularly well suited for “heavy traffic” areas like hallways, staircases, kitchens and bathrooms. It goes without saying that the surface material also has a major impact on the visual effect of wallpapers in a baroque style. Patterns and/or backgrounds can be matt, glossy, or iridescent, and metallic effects play with the light. Textile or multi-dimensional structures appeal to the senses. Textile materials or flock wallpapers create a sense of warmth and cosiness, and experimenting with various darker or lighter shades can add further dimensions. The basic and the pattern colours of Damask Wallpapers are very different. Even though the shades can be from the same colour family, the grading between basic and pattern colour is crucial to create the plastic or sculptural effect that characterises baroque patterns. Our selection menu for Baroque wallpaper enables you to choose your favourite colour combination, and you will then see all available designer wallpapers that fit the bill. 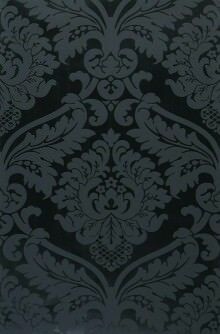 Once you've ordered your damask wallpaper with us, we'd like you to be absolutely satisfied with your delivery. We can guarantee this in terms of organisation and quality. But in order to ensure that your choice of Baroque wallpaper suits your taste as well as the layout and use of the room in question, and the process of hanging the wallpaper goes smoothly, we have listed a number of helpful hints below. Small, narrow room: Create a feature wall or emphasise a specific part of the room (example: chimney wall) with your new Damask Wallpaper. Choose light or metallic colour combinations which will provide optical reflections when hit by the light. A damask wallpaper with a lighter basic colour and a metallic colour (gold, silver) in the baroque pattern creates a subtler, less imposing effect. Delicate, smaller patterns are much more suited than large-scale, “in your face” baroque patterns. In narrow staircases, you might consider using your baroque wallpaper just at head height to avoid a sense of claustrophobia. Large, spacious room: Here, you can use large-scale, sculptural baroque patterns which demand attention. Daring colour combinations are also possible. 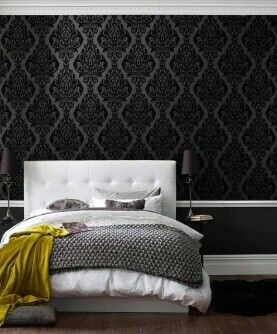 Damask wallpapers with darker/black basic tones and appropriate pattern hues give a room an air of sophistication and elegance, but they require the maximum incidental daylight to avoid a sense of oppressiveness. Using a single colour in the plinth area and a baroque pattern wallpaper up to a ceiling can make it look less high. For “heavy traffic” areas like bathrooms, hallways and staircases, we recommend easy-care washable wallpapers with baroque patterns. Their characteristics include washable, highly washable, and scrub-resistant. 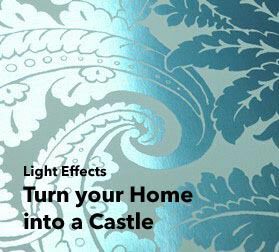 Light-resistant damask wallpapers are particularly suited for areas exposed to sunlight as their colours are protected and you will be able to enjoy them for a long time. Pattern samples can give you a authentic picture of colours and structures. You can request them from us before placing your order, or alternatively print them out to get a first impression. If you are unsure or have any questions relating to Baroque Wallpapers, feel free to contact our service team who will provide you with answers and clarification. Please make sure that you determine the required number of wallpaper rolls based on measurements rather than guesswork. It's always better to order one roll too many (you might also need it for repairs later). Pattern repeat and overlaps/offsets have to be taken into consideration when putting up baroque-pattern wallpaper. Only use high-quality adhesive or wallpaper paste and follow the instructions relating to specific wallpaper types (fleece/non-woven, paper, vinyl). All lengths of wallpaper need to be soaked for the same time to achieve the best results. Traces of adhesive on your damask wallpaper should be removed swiftly and carefully. When working with delicate surfaces (textile, flock, glass beads), protective cotton gloves should be worn at all times. Patience is key!